Students from Rhodes State College attended the Business Professionals of America (BPA) 2017 National Leadership Conference, “Spread Your Wings,” in Orlando, Florida, May 10-14, 2017. 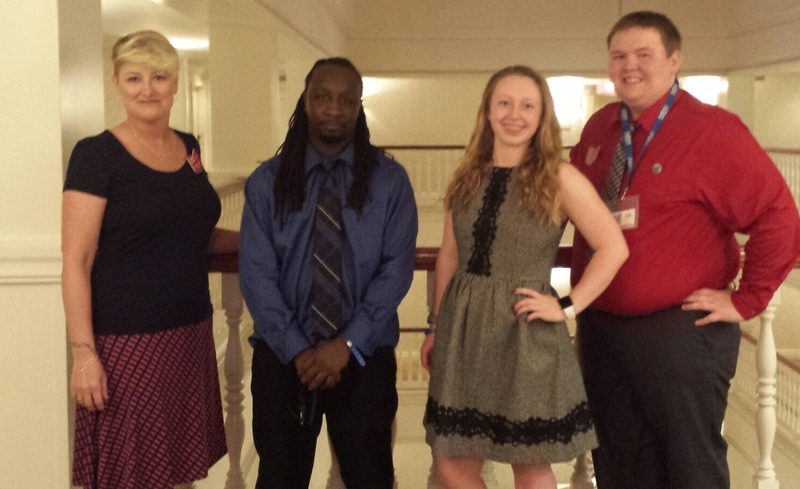 Rhodes State College BPA chapter members, La’Dell Allen, Hope Gossard, and Aaron Goubeaux joined over 6,000 other conference delegates from across the nation to participate in national level business skills competitions, workshops, general sessions, and national officer candidate campaigns and elections. Hope Gossard, President of the Ohio Chapter of BPA, carried in the Ohio State Flag into the opening ceremony of the conference. La’Dell Allen placed third in the Entrepreneurship category at this conference. “We are thrilled to have a student place at the national level for the Business Professionals of America 2017 National Leadership Conference. Our students have worked very hard this year to launch the Rhodes State BPA Club, and we are looking forward to sending even more students to the National Leadership Conference next year,” said Cara Rex, Chair of Business Administration for Rhodes State.